The church of the Holy Name of Jesus in Brooklyn, New York, will have a solemn Mass in the Extraordinary Form for the feast of Candlemas, featuring Tomás Luís de Victoria’s Mass O quam gloriosum. The Mass will begin at 7 pm; the church is located at 245 Prospect Park West. 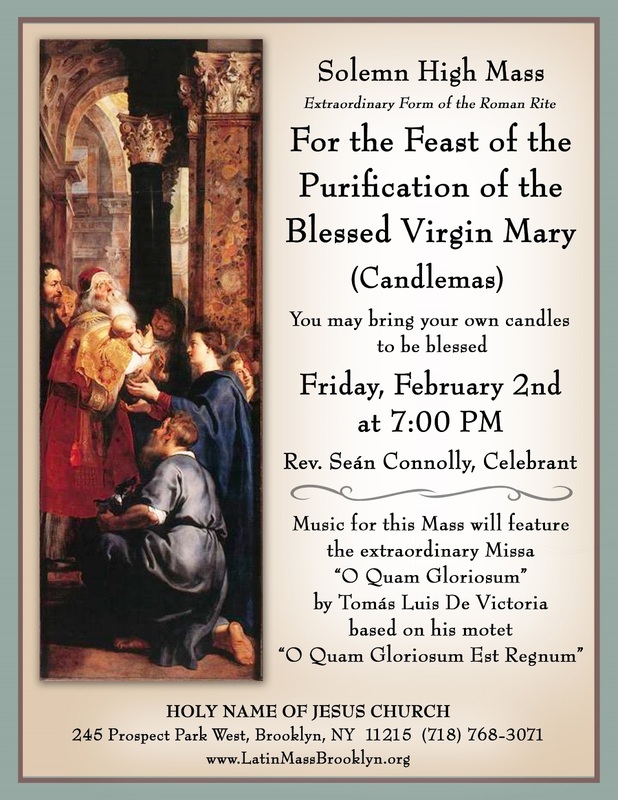 People are welcome to bring their own candles to be blessed.